We know you love your Clic's but sooner or later you may have to take them off. 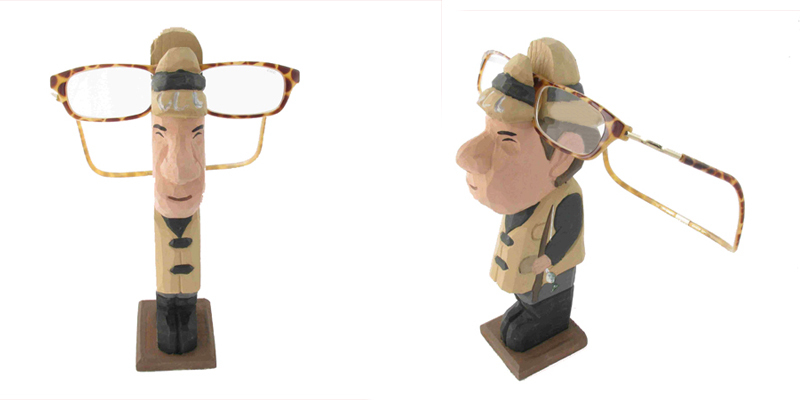 Express your personality with our handcarved, handpainted, real wood Peeper sculptures. The best place to safely store your Clic glasses and have fun doing it. Will work with just about any reading glass, sunglass, or prescription frame as well. These make a fantastic gift.